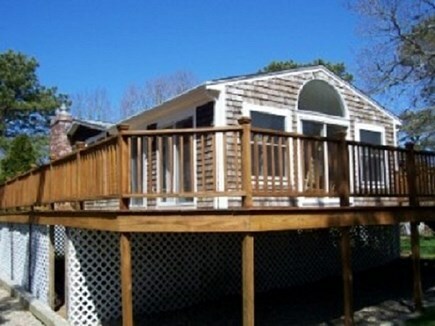 Wrap around deck view of creek. Spacious Split Entry with European Flair. 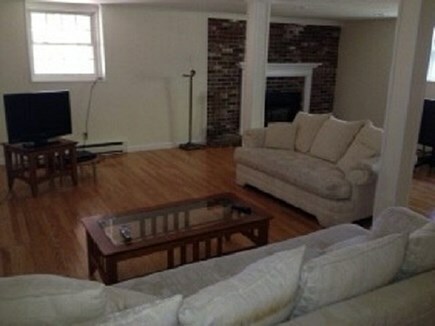 House has 4 Bedrooms,3 Bath and Central Air. 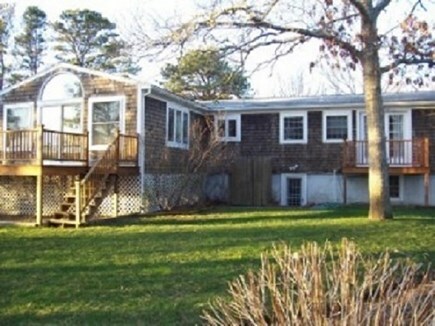 Located on a quiet cul-de-sac in South Yarmouth approximately 1/4 of a mile to beautiful Smugglers Beach. 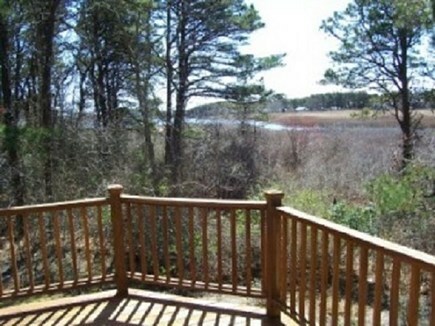 The marsh views from the large wrap around sundeck is wonderful for relaxing or entertaining. 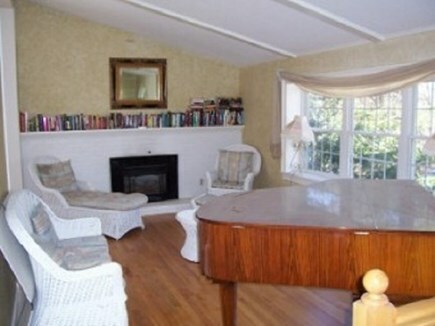 Open bright kitchen, Great Room, living room and dining area with a grand piano are all on the main level. 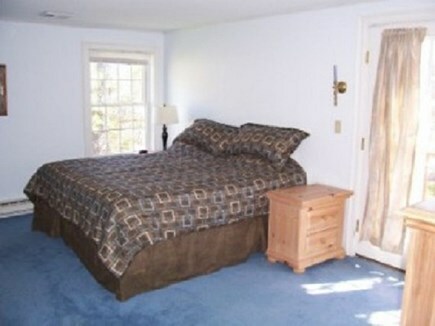 Main level bedrooms include a king bed and 2 twins. Cable, WiFi, and central air for those extra warm days and nights. 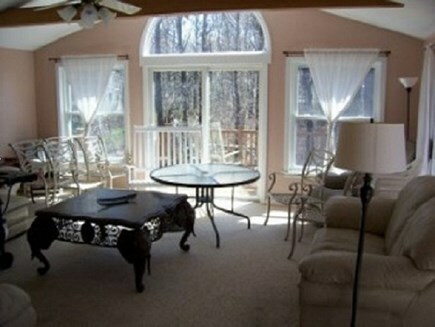 Lower level: family room with fireplace provides a spot for relaxing or family game night and includes a new pool table. 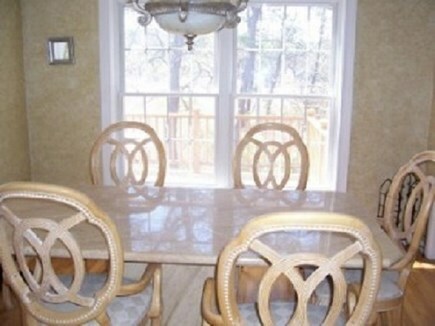 Downstairs bedrooms have 1 Queen bed, 1 double bed, and 2 twins. 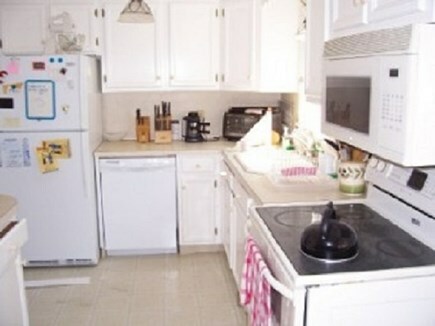 Laundry room and full baths. 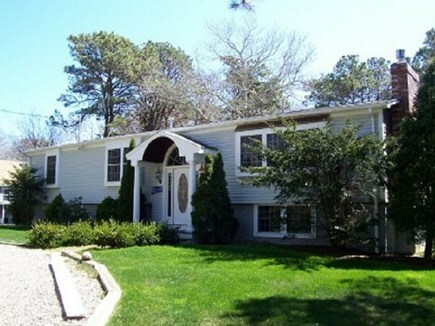 This house is great for a family get together or for 2 families looking to vacation together yet wanting their own space and privacy.